Summer Schoolhouse - Lesson One by With Thy Needle & Thread - 28 ct. Mushroom Lugana using the called for cotton hand-dyed threads (1 over 1). 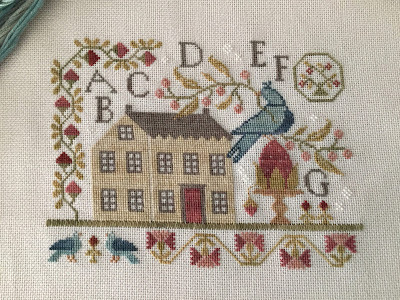 Elizabeth Baker by Pineberry Lane from Patternmart. 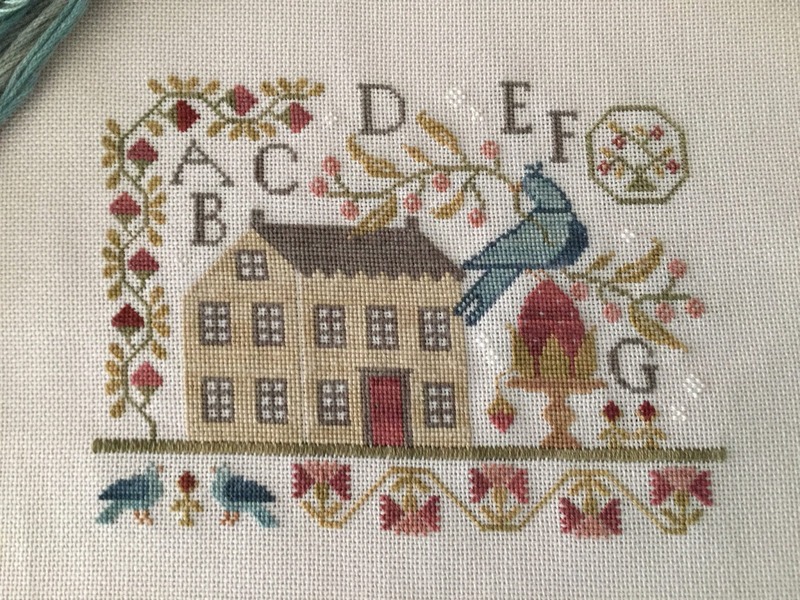 Summer Schoolhouse - Lesson Two by With Thy Needle & Thead from Country Stitches. I love the Summer Schoolhouse patterns and have them on my wish list. The stitching you do is so pretty and I have decided that I need to purchase everything you are working on because they all look so gorgeous! Just found your blog..and I am loving it! We just came back from Ladson, SC. Our son just moved down there from Wyandotte, Michigan. In your previous post you talked about Stitches N Things....I love that shop!! I live in Michigan, about an hour from Fenton, but I try to go at least once a month... Deb does such a fantastic job in keeping everything stocked up. 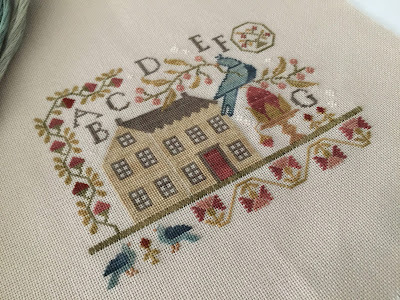 One of the best cross stitch shops I've ever been too. Love all of your new patterns! Will definitely be visiting your blog! OMG the Summer SChoolhouse stitching is amazing. Love it and your stitching is so perfect.